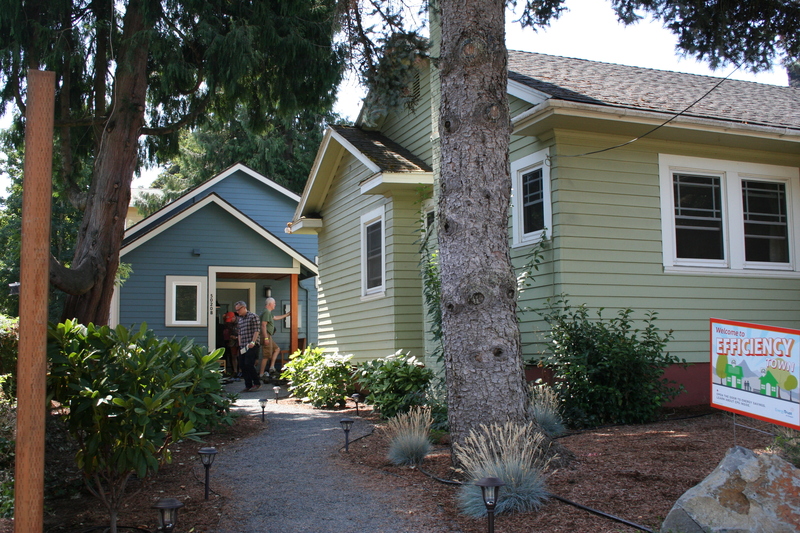 Do you know what an Accessory Dwelling Unit (ADU) is? It’s a fancy name for a house on a piece of land that also has a main, larger house. An ADU is a great way to live close to older family members, so they may age in an independent home near loved ones. ADUs can also be valuable sources of income, where a property owner could live in either the main or accessory dwelling while collecting rental income from the other. As part of the City of Springfield’s affordable housing strategy, the City has recently made it much easier for property owners to add an ADU by relaxing the regulations and providing financial incentives. Now is a good time to add an ADU to your property! All new development in the City of Springfield must pay system development charges (SDCs), to fund the upkeep and added impact to existing City infrastructure such as streets, and local wastewater and stormwater systems. However, for new ADUs that are permitted through June 30, 2019 those City SDCs are being waived. That’s a savings of an estimated $5,000 to $6,000 for a typical ADU in Springfield. This SDC waiver has been in place since July 1, 2017 and the Springfield City Council is considering an extension of the waiver. The Metropolitan Wastewater Management Commission (MWMC) has followed suit and is covering the cost of regional wastewater SDCs for ADUs in Springfield as long as the City is waiving the SDCs. Note that other SDCs imposed by the Springfield Utility Board (SUB) and Willamalane Park and Recreation District still apply. In addition to these cost savings, Springfield made its rules more flexible to encourage the construction of ADUs. Amendments to the Springfield Development Code that went into effect on April 4, 2018 now allow ADUs in all residential districts (previously only allowed in Low Density Residential zones) within the Urban Growth Boundary. ADUs can now be built in the Washburne Historical District. The Springfield City Council also relaxed the parking requirements for ADUs, removed the requirement for the property owner to live on site (allowing for the main house and the ADU to be rentals), increased the maximum size of an ADU to 800 square feet, and added flexibility in the design standards, including allowing manufactured homes or towable structures that are placed on a permanent foundation as ADUs. Want to learn more? Visit the City of Springfield’s ADU webpage for lots of useful information on permit applications, code requirements, and other considerations for ADUs.